If you’ve followed the progress of online gambling regulation in the United States over the past few years, you’ve probably noticed that not all companies are treated equally. 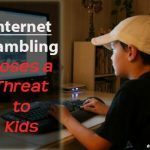 Those that offered Internet gaming after the Unlawful Internet Gambling Enforcement Act (UIGEA) went into effect have been largely locked out of states with regulated online gambling – not to mention that many of them were targeted by the government while they were still active in the US. But the United States isn’t the only nation that has shown hostility to firms that offered online gambling when they weren’t supposed to, even if those same games are legal today. In France, Internet gambling is regulated and legal – but it wasn’t always that way. And prosecutors there are now hoping to collect fines from executives who tried to skirt French law in the past. According to a report in Gaming Intelligence, a French court has recommended that bwin.party executives Norbert Teufelberger and Manfred Bodner be slapped with €40,000 ($55,186) in fines due to their roles in bwin offering Internet gaming products in France before the era of regulation began there. The case – which is now being heard in a court near Paris – is expected to continue for weeks before a ruling is reached. While the names may not be familiar to you, the general principles of the case aren’t unlike the dispute between the US government and PokerStars. According to the Department of Justice (DoJ), PokerStars operated illegally in the country for several years. 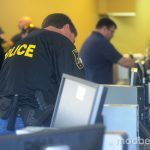 While the popular site itself was able to settle with the government, some executives faced individual charges as well. 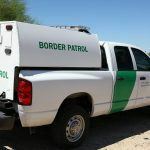 CEO Mark Scheinberg settled with the government by forfeiting $50 million, while an indictment against Mark’s father Isai – the founder of PokerStars – is still unresolved. Similarly, Tuefelberger and Bodner are charged with violations of French law related to online gambling. 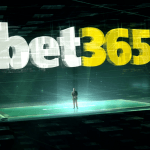 They are said to have illegally offered iGaming products, illegally receiving bets on sports and horse races, and advertising to French players in the years between 2003 and 2005. During that period, the two companies that had a monopoly on French online betting – La Francaise des Jeux (FDJ) and Pari-Mutuel Urbain (PMU) – had complained to authorities that these actions by bwin had violated their rights in the French market. 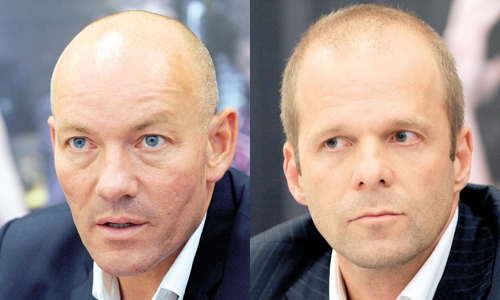 And in September 2006, both Teufelberger and Bodner were arrested by French authorities during a bwin press conference. But nothing much came of that case in the following years, and over time, it seemed as though the issue might go by the wayside. When the French market was opened in 2010, bwin was the first company to successfully apply for an iGaming license. More recently, both FDJ and PMU dropped their complaints against bwin. Still, prosecutors eventually came around to pressing charges, and the case was originally expected to be heard in September 2013. The first hearing was then rescheduled to this month. Bwin.party has consistently said that Teufelberger and Bodner are innocent of all charges. According to the company, bwin has always complied with EU law, and the pair were arrested based on a law that dates back to the 1800s. During the years over which bwin was supposedly operating illegally, the European Court of Justice did allow for some restrictions on online gambling by member nations – if those restrictions were put into place to protect against the social ills of gambling. However, a later opinion suggested that because FDJ and PMU advertised and operated in France, it would likely follow that the French government was simply protecting monopolies rather than restricting gambling in general.